The first thing you’ll notice when you walk into Dream Smiles Dental is the incredibly friendly and inviting atmosphere. Members of our staff have been hand-picked to provide you the best possible experience during your visit to the dentist. Learn more about our hygienists below. Laura attended the Dental Assisting Program at Orange Coast College, Costa Mesa, CA. While in CA she received certifications for Registered Dental Assistant, Certified Dental Assistant and Certified Oral Surgery Assistant. With years of experience in the dental field and as well as a business administrator, she enjoys all aspects of managing the business of the practice as well as speaking with the patients at Dream Smiles Dental. Her home interests are gardening, sewing, target practice, traveling and most of all enjoying her beloved husband, family and beautiful grandchildren. Donna has been a Registered Dental Hygienist for over 30 years. She graduated with her Dental Hygiene degree from Bee County College in Beeville, TX and received her Bachelor of Science degree from Texas State in Health Education. Donna joined this office shortly after her family moved to Georgetown in 1993. Sharon was born in Houston, TX but considers herself an Austin native because she has lived here since she was four years old. She graduated from Coastal Bend College’s Dental Hygiene program in Beeville, TX. She has been a Registered Dental Hygienist since 2009 and enjoys educating patients about oral hygiene home care. In her spare time Sharon enjoys hiking, horseback riding, pretty much anything that has to do with the outdoors! Kacy graduated from Dental Genius Assisting School in May 2017. She is currently working on her prerequisites at Temple College for Elementary Ed. She found a passion and love for dentistry and has a way of making the patients feel comfortable and calm. She is very eager to learn new things and enjoys sharing this with others. During her free time, she loves spending time with family, and friends. She is the smiling face you see when you first walk in. Tayler, Registered Dental Assistant Tayler graduated from Dental Genius Assisting School in August 2017. 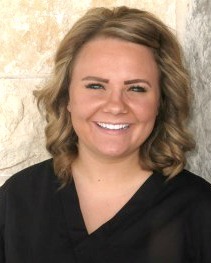 Dream Smiles Dental is her first position in the dental field and has a genuine passion to learn. She enjoys people and makes all patients feel welcome and special. In her home life she enjoys art, crafts and decorating.